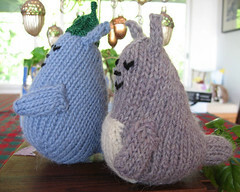 I just found that a contact of mine has a free pattern for a knitted Totoro. I must make one, when I haven't a million other toys to knit! Posted by Barbara Prime at 2:44 p.m.